The updated 2013 platform version of Office 365 offers many new features, but SharePoint is perhaps the biggest update. My last article (Upgrading Office 365 SharePoint Online Sites to Wave 15) had a good list if you’re interested. 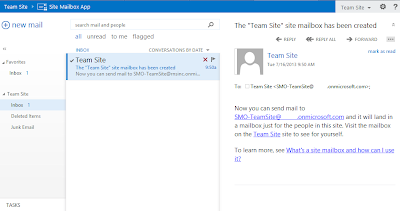 You can also access the Site Mailbox from within Outlook. 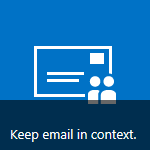 From Outlook you – and anyone who has access to the site mailbox in SharePoint – can drag and drop messages to and from and within the Shared Mailbox just as if it was your own. Once your Site Mailbox is set up it will automatically appear in your Outlook 2013 client if you have owner or member access to the site in SharePoint where it was configured. Your Outlook folder bar should end up looking something like the picture to the right. 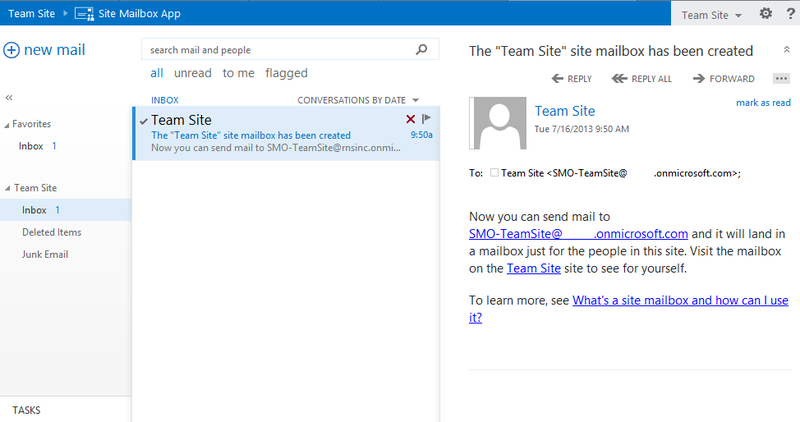 Note the “Team Site” item about half way down and the Inbox within it. 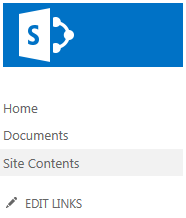 The other items from that same SharePoint site are also now listed. And… only User Mailboxes require a license. You can apply an Exchange Plan 2 license ($8/mo) to a Shared Mailbox though if you would like to increase its storage to 25 GB. There’s only two levels of access: all or none. Office 365 Security Updates – Encryption, DKIM, DLP, and More!